Deeply rooted in the author’s musical background as a professional setar player (a Persian instrument in the lute family) and Iranian cultural traditions, such as the sacred function of the number forty as a symbol of accomplishment or achievement for mystics and common believers, The Spell Chanted by Lambs is a thirty-nine chapter account of the forty stages the narrator must complete in order to build the ideal setar and achieve musical perfection. 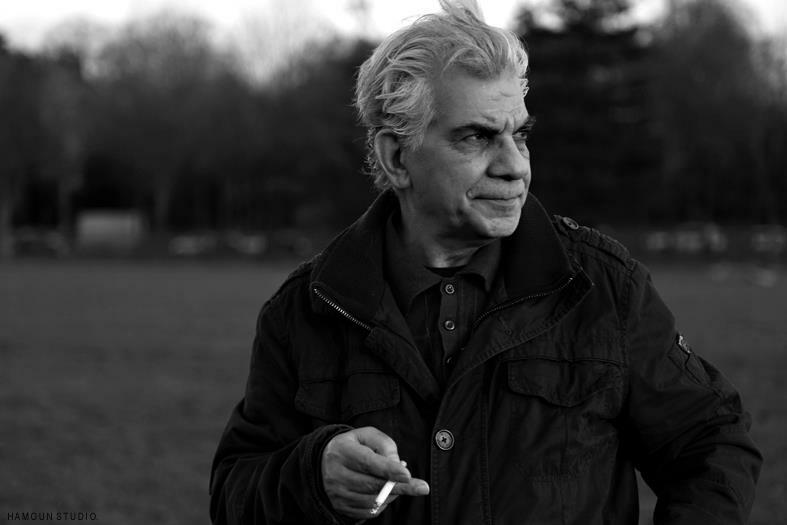 Born in Isfahan in 1949 to an Iranian couple of Southern origin, Reza Ghasemi soon flourished as a talented musician and composer of songs (for masters of traditional music Shahram Nazeri and Mohammad-Reza Shajarian), and has also become a prolific writer of plays, short stories, and novels. Erfan Mojib (born in Yazd, Iran) holds an M.A. degree in English Literature from the University of Malaya and works as the rights manager of a newly-established literary agency in Iran. The Spell Chanted by Lambs is his debut book in English. What follows is an excerpt from The Spell Chanted by Lambs, recently released by British-Iranian publisher Candle & Fog. The novel was never officially published in Iran because of its frank treatment of cultural taboos, yet is widely read thanks to the immediate success of Ghasemi’s debut novel Nocturnal Harmony, which was the recipient of many prizes in the author’s home country. Jessica the nurse from Martinique enters the room again. She has a file in her hand. “Let’s go get your chest X-ray,” she says, and pats her chest with a finger. I ask if they’re going to circumcise my lungs, too. She laughs. I follow her like an obedient child. The way she walks is like other Africans like the sound of a drum in the air; a dance of the buttocks; the swinging of bodies. She reminds me of Nane-Doshanbeh. Is it possible that she too be circumcised? No, people from Martinique are the most well-to-do, the most cultured and the proudest of all blacks. Physically, they look like the people of Bandar-Abbas. They have black skin with the physique of white people. But Nane-Doshanbeh was really dark. She looked like the black maids in the American movies of the fifties. It was as if one day, when the town’s only cinema projected one of those American movies, she had fallen off the screen and had become one of our neighbors. In the afternoons she came to the front yard of our house with Elma. She had large buttocks. I believed the largeness of her buttocks didn’t cause her body to look deformed but they stabilized the maternal balance of our neighborhood. Her buttocks were like a scale mass that prevented the melancholy stillness of the town from collapsing over the spirit of the women in the neighborhood. Two rows of white teeth gleamed against the darkness of her face when she laughed. If I was playing around her, she didn’t miss a chance to cuddle me, kiss me and press my head against her groin. When she did that, I felt as if I was sinking into a soft cushion. Sometimes when I skidded over her fleshy thighs, I smelled an unfamiliar scent that seemed to belong to a mysterious wooden antique chest. Later, when someone spoke of paradise, I spontaneously recalled that pleasant scent. Nane-Doshbaneh grabbed my hair, raised my head gently, gave me one of those looks that made the whites of her eyes look wider and said smilingly, “Go play now.” I knew that it was time for her to speak of the feminine secrets to the other women in the neighborhood. Then I went into the yard and played for a while, so that later I could silently sneak into the shade of the kitchen wall which was close to the gate of the yard and listen to the women’s world which was full of ghosts and confined pains. And I knew, no matter where their conversation began, it always ended at the point that was a paradise to me and an inferno to these women.